Yesterday brought a first glimpse at the cover artwork planned for WWE’s 2017 NXT DVD. Today, it’s time to get eyes on the finalized front and back covers as well as the COMPLETE content listing! 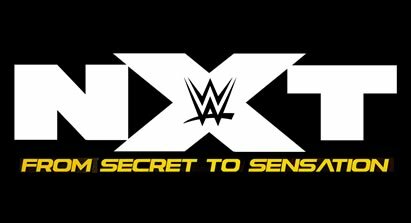 “NXT: From Secret to Sensation” will be released on November 13, 2017 to fans in the UK and just one day later on November 14, 2017 to NXT fans in the US. Click here to get yours. SPOILER WARNING: The top 25 NXT Superstar ranking is revealed in the listing of the first disc. Skip over that section to avoid being spoiled in advance. – UK/Europe: November 13th. Pre-order a copy of the NXT DVD/Blu-ray on Amazon.co.uk. – USA: November 14th. Grab the new NXT DVD or Blu-ray now here on Amazon.com. Am I the only one who thinks there should have been more recent stuff from 2016-2017? That’s when NXT has been it’s best but most of the stuff is random matches from 2013-2015. Little too much “Secret” and not enough “Sensation”. I’m just not feling the fact that the first disc is wasted with a countdown show that I would frankly watch once and never go back to. Why couldn’t it just have been Greatest Matches Vol. 2? This isn’t even a documentary as such. Also, there’s not much point in a countdown of the 25 Greatest Superstars from a mere 5-year period. This countdown should have been done nice there was much longer lineage to NXT. The other 3 discs could consist of great matches featuring all theese great legends. From all eras,and some classic interviews /promos on disc 4. They already did a Top 50 Superstars Of All Time DVD. that was my first thought as well. while the quality of that set can be debated (I think it was fine for what it was), that’s basically the concept behind it. I’m good but I wouldn’t mind seeing a match compilation set. I wish they brought back the Fantasy Concept. Hopefully the fact that there’s no tag team content in here means that there will be an eventual NXT DVD focusing exclusively on tag teams. Harper/Rowan vs Neville/Graves, BAMF vs Vaudevillains, AA vs Revival 1/2/3, DIY vs Revival 1/2/3, DIY vs Revival vs AOP, AOP vs DIY ladder match, AOP vs Sanity. Lots of good stuff to fill some discs. Nice collection of matches. I don’t know if the match where the first NXT Champion, Tag Team Champion and Women’s Champion were crowned. If not, I’m hoping those and the two Bayley vs Sasha Banks matches (TakeOver: Brooklyn and the Iron Man Match) are part of the bluray extras though I kinda feel they belonged in the main content of matches. Rollins vs Jinder to crown the first NXT Champion, Paige vs Emma for the first Women’s Champion and Sasha vs Bayley from Brooklyn are all on the first NXT release. Crazy that the two matches featuring your #1 star on the list feature him losing. Suppose one of these women suffer a severe injury a minute into the match will it still make the DVD?? I know it’s highly unlikely but still you never know. Anything is possible. I’m guessing this was done at a Smackdown taping, but the Smackdown taping was 12/6/11. It really was taped on December 7, 2011. They did a 90 minute show, broken down into three 30 minutes episodes. It was taped at Full Sail University to see how it would look to potentially run a regular show there. I guess they liked how it looked because they’ve been there for over 5 years now. I wonder if that was the proposed 6th season that got scrapped? What other matches happened at that taping? The only other match I know of was Cody Rhodes & Drew McIntyre vs Daniel Bryan & Sheamus. They used a lot of the FCW guys on the show. Jim Ross, Byron Saxton and Chris Russo did commentary for most of the matches. It was reported in the Observer after the taping. I got the full results of that show from someone. They had 10 matches total. Definitely want this! NXT rules baby! Do we possibly know the title of the 3 disc set that will be closing out the year in december yet? What set in December?? They never said there would be one to replace the NXT set unless you know something nobody else does. The nxt DVD comes out in November there hasn’t been a 3 disc set announced for December yet! A first I thought it was odd that they’d announce the Asuka/Ember Moon Takeover match to be on this set before it even happened, but then I just remembered that the Owens/Jericho WrestleMania match was announced to be on Kevin Owens’ DVD before that match took place. Boring. I’d rather see the Best of Ohio Valley Wrestling from 2000-2004. This has to be the first time that a match listing was released before one of the matches even took place. Owens WM33 match we announced for his DVD before it even happened, but I guess technically the full content list came after the match. Wait the Asuka vs Ember Moon match from Brooklyn that hasn’t happened yet will be on this DVD. Yeah, I caught that too. Sounds like they know it’ll be a significant match, so Asuka losing tonight sounds much more likely. Is there any repeat matches from the last nxt DVD on this one? Only one (but it was a Blu-ray exclusive one volume 1). Idk about anyone else but I’ve been getting the feeling for some time now that it’s about time they did sets on NXT talent or former NXT talent where the set completely focuses only on their time in NXT? All things considered, Asuka is more than worthy to be the first to get this treatment. But there’s other names too: Bobby Roode, Nakamura, Joe, Charlotte, among others. Who knows. Rikishi might return to interfere in the match to deliver a stinkface! Decent match listing I was worried that this would be filled with Takeover matches but glad it’s filled with NXT TV matches. How can they have a match on here that hasn’t happened yet? Anyone know why the NXT specials/ takeovers have never been released on DVD when all other WWE PPV have? Just a bit of a deduction, not a 100% answer, from a WWE source. I think the reason is, to keep them somewhat exclusive to the WWE Network and make being a subscriber the only way to see them. They will probably end up with a Best of NXT Takeover DVD one day though. It. Was. You can’t see, but I am doing the arms flapping thing- Glorious! So does this mean that since presumably all the content listings are already out for 2017 that we still have one more unannounced dvd which would probably be for december or that we will start hearing about 2018 dvds being confirmed relatively soon? The pace is much quicker than last year. I love the listing. Still a few matches I want for the Blu Ray Listing. Weird that there are no tag team matches on this one, with only one on the last. Still hoping for DIY/Revival in Toronto. I assume the reason that Ember Vs Asuka from Takeover Brooklyn 3 is on there is that Ember is gonna beat Asuka and win the belt. I can see that happen. I also feel that Asuka is more than ready for the main roster, so I hope she is called up soon. I’d like to see her on Smackdown.